Markdraft Private Limited since 2017 is involved in Wholesale Trading, Exporting, Importing and service providing a collection of Coffee Machine, Commercial Dishwasher, Restro Furniture, Kitchen fabrications, Commercial Kitchen Planning Consultant and many more. Our products are appreciated for their features like rugged construction, superb strength, longer service life and reasonable prices. We store our products at predetermined places according to their categories for minimizing any possibilities of mishandling. We are a Private Limited Company and assisted by our mentor “Mr. Navpreet Singh” we have been able to create a huge patron. With the help of his sharp business approach and skills, we have gained a reputed position in the market in such short period of time. His Industrial knowledge and expertise are the pillars of our success. We have achieved an admirable position in the market by providing a wide assortment of products. Our enterprise is highly preferred by the patrons for the timely delivery of orders. Moreover, we are widely acclaimed in the market by virtue of our ethical and transparent business practices. A single window solution provider to any requirement. We cater end to end project management cycle. 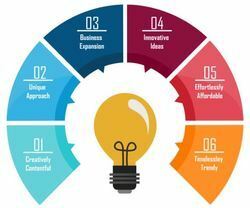 We provide customise solution as per the customer need to ensure the goal is met to create a win win situation. By guiding the customer with an accurate solution ensuring a win win solution. We ensure a complete hand holding for the entire project cycle. 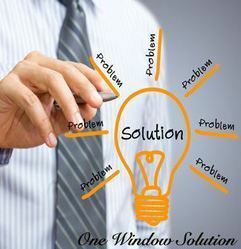 Being a SINGLE WINDOW SOLUTION provider it eases the customer and project is executed flawlessly. Regular Surveys are conducted any identified gap is immediately fixed. Markdraft is a SINGLE WINDOW SOLUTION Provider for the entire project cycle which eases the Customer Pain. Putting a smile on the face of your guests and yours is our goal and guarantees a durable relationship. o Convenience of connecting anytime, anywhere. o Wider marketplace with a range of products and suppliers. o One-stop- shop for all requirements. o Access to buyers from across the globe. o Increased credibility for your brand. 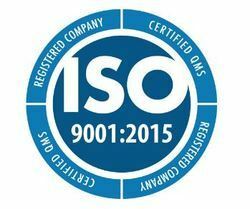 We are excited to announce that Markdraft Private Limited has achieved ISO 9001:2015 certification, which is the world’s highest recognition for meeting manufacturing and service standards of excellence. ISO 9001 is a quality management standard that helps service providers and organizations ensure that their products and services continue to meet customer satisfaction standards while striving to continually improve quality. Our vision is to empower every person and every organisation to the achieve more with excellence. Serve as the framework for our Roadmap and guides every aspect of our business by describing what we need to accomplish in order to continue achieving sustainable, quality growth.